Glasslock Duo is our first glass bento box in store. made from tempered glass, it is microwave safe, fridge and freezer safe, but should not be placed in the oven. The purity of glass means there's nothing that's going to stain your container, and nothing in the container that's going to change flavour or absorb the flavour of the container as you eat. For those with a sensitivity to the taste of nickel, this can be an issue with a stainless steel bento box. 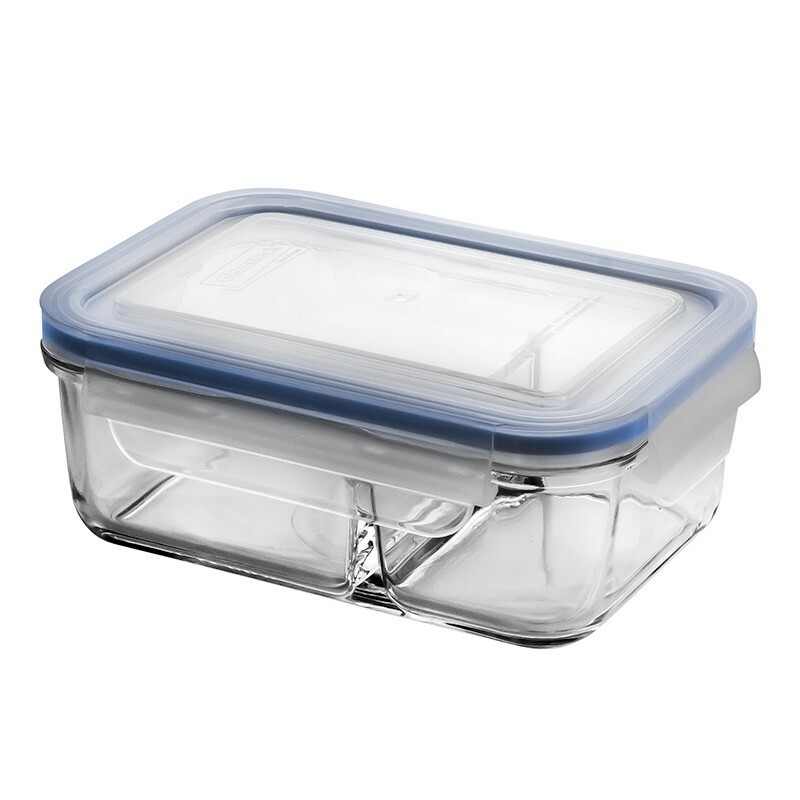 LEAKPROOF - leakproof bento boxes are usually the exclusive domain of plastic boxes. The Glasslock Duo has a completely leakproof lid that clips down to form a perfect seal in the same way the rest of their containers do. The divider doesn't quite reach to the top of the bpa free plastic lid, so there can be some movement between compartments if you allow it to roll around or be upside down in your lunch bag.